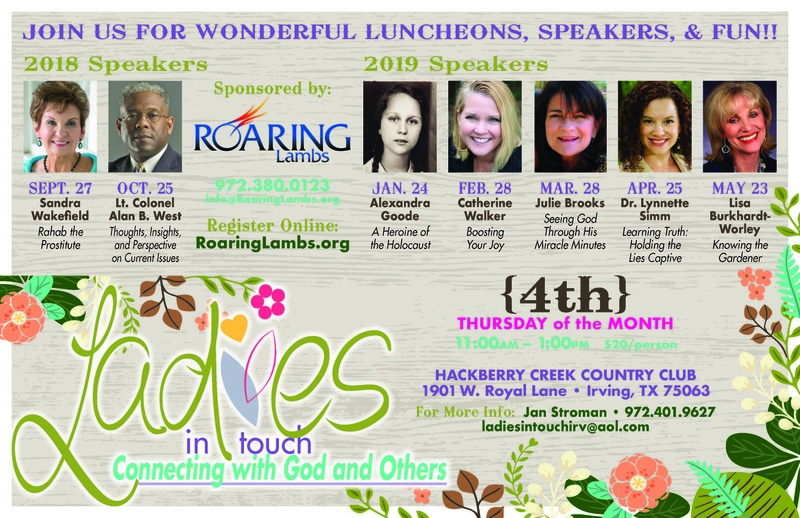 Roaring Lambs is reaching its ministry arms beyond Dallas. There are now communities in Jackson, Mississippi, and Irving, Texas. The communities host a monthly outreach luncheon and offers occasional Testimony Workshops for their members to attend. 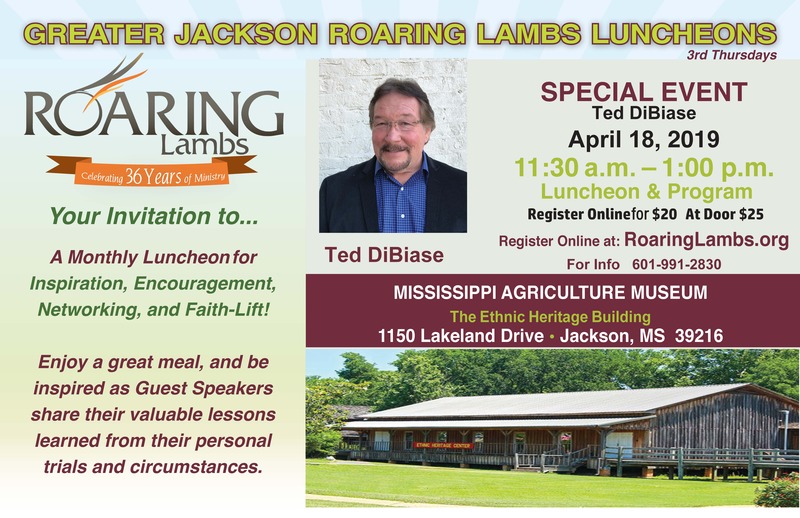 Roaring Lambs handles all correspondence for the groups, as well as payment for luncheons; however, any additional expenses must be absorbed by the communities. If interested in starting a Roaring Lambs community in your area, contact us at 972.380.0123. We can walk you through all of the steps and personnel required to have success in your new venture. We applaud you for desiring to reach your city or town for Christ!